Free Music Archive: MP3 of the Day: Michael Stasis, "Brown Cow"
You came this way: Home > Free Music Archive > Blog > MP3 of the Day: Michael Stasis, "Brown Cow"
MP3 of the Day: Michael Stasis, "Brown Cow"
New music from Michael Stasis: "Brown Cow" is a mid-fi avant-pop tune on a Neu-style groove. It's available on his new album Chainsaw, released last week by Megazine Magazine, where you can also grab an autographed Michael Stasis poster. 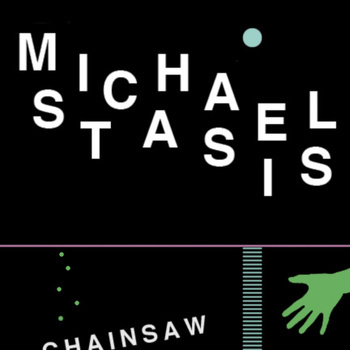 Michael Stasis has somewhat of a cult following thanks to his limited-run cassette releases dating back to the early part of the last decade. I first heard him through Nadav of Phoning It In, who knew I'd dig the home-recorded psychedlic folk-pop. His music can be hard to track down, but in 2009 I was lucky to find a few copies of his self-titled cassette on Natural Resources behind the counter at Other Music, and we offer a couple tracks from Michael Stasis' cassette releases on the FMA here. Last year, Michael Stasis compiled a bunch of his older lo-fi experimental recordings into a freely downloadable collection entitled RIP (2003-2009). He's since moved to Oakland (from Philly/NY) and upped the fi to mid- for a slew of fantastic releases like Innernet Blues and In the Shadow of the Dairy Queen.